I remember that first blog post I wrote - a letter to my youngest daughter - I didn't stick to blogging then. 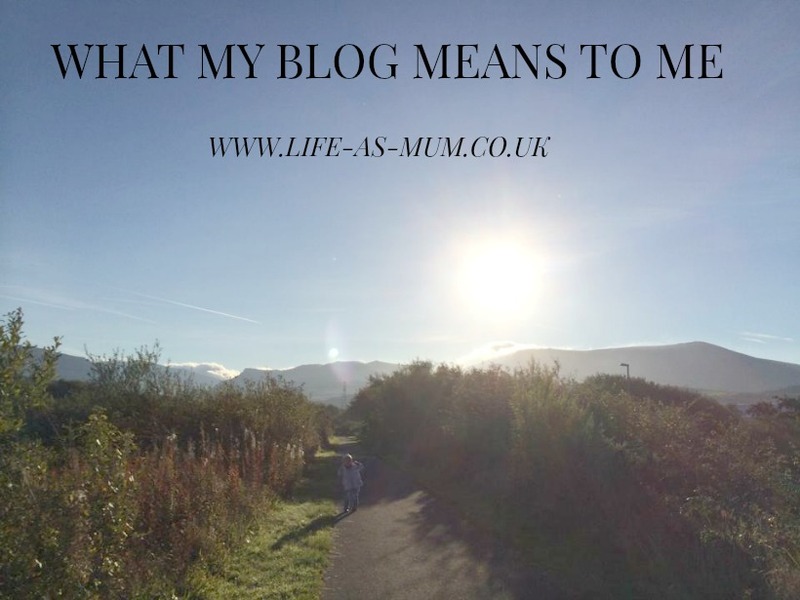 It wasn't until May 2013 that my blogging journey truly started. You can read all my posts from my first month of blogging here. Looking back really does make me cringe because of the way I wrote and how short my blog posts were (and many other reasons too!). I do think my photography, words and posts have improved since and I hope for them to improve again in future. This May will be my 3rd year of blogging and I can't even imagine my life without blogging now. My blog means a lot to me. I often find myself talking about my blog or anything blog related to friends and family, but they have no idea what I am on about most of the time. Many of them don't realise how much hard work it is to keep on top of a blog. When I started blogging, I would never have thought it would be where it is now. Never did I think I would get actual readers and real people finding/reading my blog. Never did I think I would get compliments about my blog and never ever did I think I would get the amazing opportunity to work with some amazing brands and PR's. My blog covers most of my life. I write some personal posts, posts about my girls, our family adventures, tips & advice, my weight loss journey and much more. Up to recently my blog has also changed to a pregnancy and parenting blog. When I found out I was pregnant I couldn't wait to write about it. I had it in my head how I wanted to announce my pregnancy, announce the baby's gender and also about writing my weekly updates, which I enjoy writing. I love being able to share my pregnancy journey with others and as well it is something I can look back at in a few years time. When I started writing posts for my blog I wasn't quite sure where I wanted it to go. I wasn't sure about what kind of posts I wanted to write but I got more confidence and I believed in myself more. That is when I started to be more honest, share my stories and share my tips and advice about parenting. I do not blog to judge people, I would like to think I may help someone out there one day. Although some people may blog as just a hobby, part-time or full-time I do believe that blogging is a full-time job. Once you are a blogger you seem to get that 'blogger mind'. Which is pretty hard to explain if you are not a blogger yourself. But if you are a blogger then I am sure you know what I mean. It can be hard work but I love blogging and I don't think I will ever stop. My blog does mean a lot to me! As you may know it is the blog award season! I have never written a post in the past 3 years about this kind of stuff but I felt like I needed to this year because I know a lot more people who read my blog now, even friends. Most of these people do not know about the MAD and BiB awards. So this is my reason for writing this post. I wanted to explain a little bit more about my blog and what it means to me. I would really appreciate it if you would consider nominating me for Best Pregnancy Blog on the MAD's Awards and Best Family Blog on BiB awards and/or any other categories if you think my blog fits! Hi Beth, congratulations on nearly three years of blogging and I agree with everything you wrote. There does come a time when you get a blogger mind. I don't think there is ever a time when my blog is totally out of my mind as there is always something to do on it. Those first posts are always bad, mine make my toes curl, but they are a good reminder of how far we have come. And I too never dreamt that there would be people who actually want to read my posts and I am always humbled by comments left. Here's to another three years (and more) of blogging for you and good luck at the awards. Off to vote now. Thank you very much Debs! It's strange how it all works isn't it. Blogging really doesn't leave you. This is the first time today I have come onto my blog but it has been on my mind all day! !